Driving the Road to Hana is arguably* one of the number one things to do in Maui, Hawaii. This scenic highway (Hana Highway) takes you to the small town of Hana in east Maui, and there are many different sights and stops along the way. On our Maui trip, Mike and I knew we wanted to take the Road to Hana, and did moderate research before hopping in our rental vehicle and taking off. 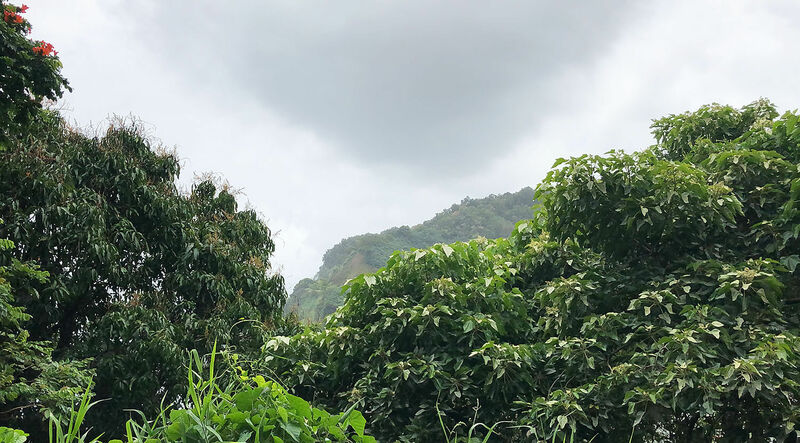 If you’re planning to drive the Road to Hana, which, I would say anyone who visits Maui should try at least once, I hope the summary of our experience below, including tips you should Know Before You Go, help ensure your Road to Hana is lots of fun. I’ve also put together a video blog of our drive, which you can watch below as well! *Driving the Road to Hana though is also, arguably, one of the worst things to do in Maui if for instance, you’re prone to motion sickness lol. Pin + share my Tips for Taking The Road to Hana! Watch my Video Blog: Tips for taking the Road to Hana! The Road to Hana is exactly that—a highway that brings you to Hana, Maui. It’s the main road that connects the north/west side of the island to the east side of the island. The road takes you into the Hana rainforest which is gorgeous and lush. There’s greenery everywhere. Trees and flowers you’ve never seen before. Ocean views from steep cliffs and waterfalls all along the way. Birds chirping. The Road to Hana gives you spectacular views of tropical rainforest in east Maui but it can also be a long and exhausting trip. 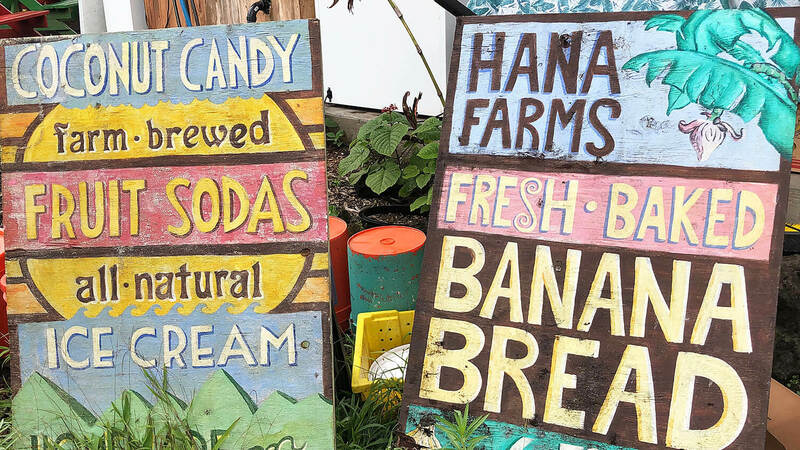 As a Maui attraction or ‘thing to do,’ most people dedicate their entire day (if not multiple days) to making the drive and exploring the stops along the way, in and beyond Hana Town. The drive itself, for us from west Maui (Kāʻanapali/Lahaina area), took about 3 hours one way. The famous Road to Hana takes you to, well, you guessed it—Hana Town in east Maui. 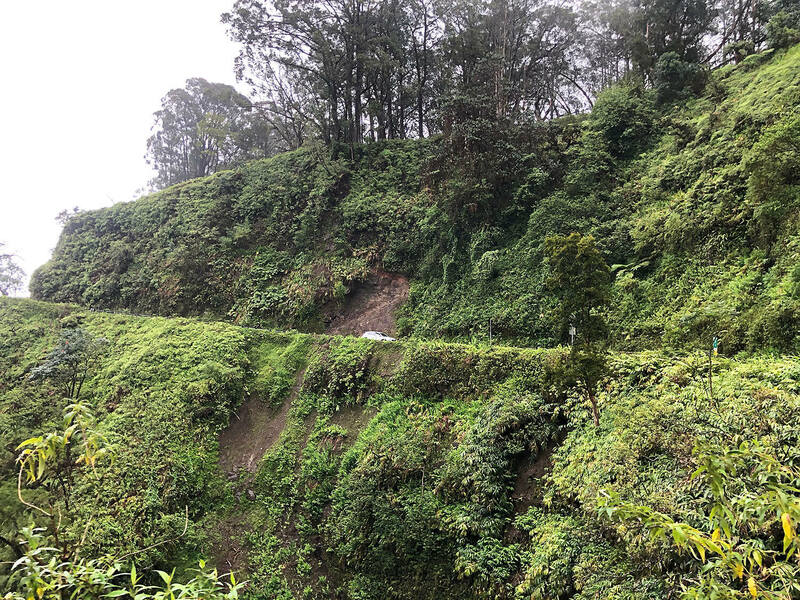 The Road to Hana is also said to be one of the most dangerous roads in the world as as it features over 600 narrow turns and 50 one-lane bridges. You need to be alert and attentive when driving the Road to Hana—or else. Okay, that sounded dramatic, lol, but almost every driver we passed along the Road to Hana had both hands gripping the wheel intensely. And those one-lane bridges can be scary because most have signs that ask both directions to yield to each other and most of the time, the vehicles driving to Hana are not interested in yielding for some unclear, unsafe reason, lol. The winding Road to Hana. There is a lot you can do on the Road to Hana and it can be overwhelming if you don’t properly plan. If the Road to Hana is on your bucket list, or just your Maui to-do list, make sure you do your research. 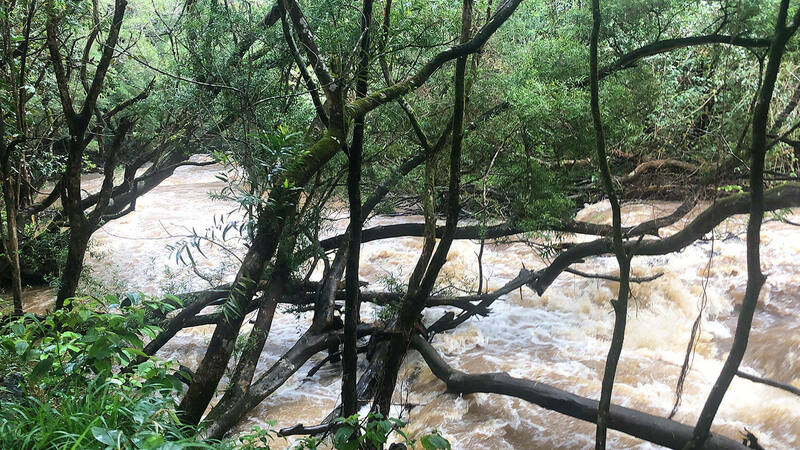 Everyone’s Road to Hana is going to be different, depending on what you’re interested in seeing and doing and how much time you’re devoting, but if you have a plan before you go, you’ll make the most out of this tropical, island adventure. Leaving early meant we didn’t find ourselves behind too many vehicles for too long during our trip on the Road to Hana! 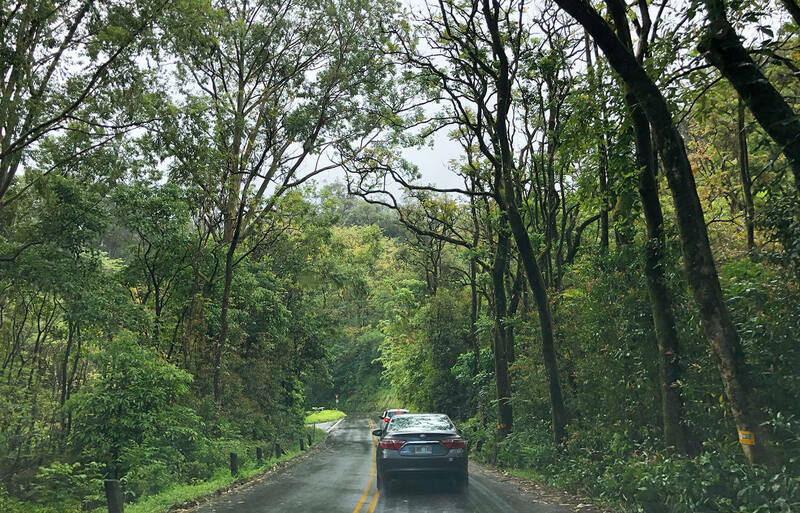 The Road to Hana is such a popular drive, we kept reading and hearing from others who had gone that you might end up stuck behind a bunch of vehicles going very slowly (for safety) along the way. So we made the decision to wake up early (is it that early? You decide: we left our hotel on west Maui just before 7 a.m.) Starting early should help you beat the traffic. We think it did for us, while it was still pretty busy when we went, we maybe stopped behind another vehicle a handful of times, and we never had a start and stop experience due to vehicle congestion, so we would recommend starting your day early! 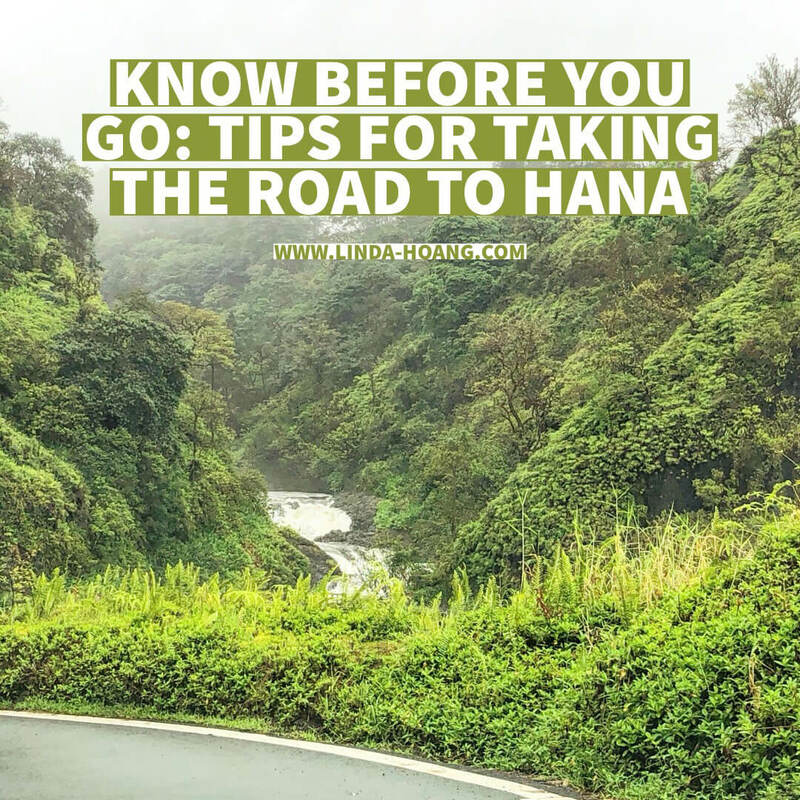 You might also consider driving straight to Hana Town first (instead of making stops along the way) because then your timing for return will be different than others, and that should also hopefully help you avoid car crowds. Warning: if you go early and arrive too early, almost nothing is open. This happened to us, lol. So you either need to spend more time stopping on the side of the road (or go past Hana) to check out more of the rainforest and waterfalls to give food stands and restaurants time to open, or depending on how you’ve planned your day, be okay with most things not being open at least during the first leg of your trip. Tip within a tip: bring snacks for the drive so places not being open doesn’t affect you drastically. The Road to Hana can be a bit nauseating with all its winding roads… be prepared! The Road to Hana is not a friend to those who are prone to motion sickness. I’m not even really prone to motion sickness and neither is Mike, but we both felt fairly queasy on this drive, I ended up closing my eyes and laying back a few times to help combat this. I have a friend who took medicine before going on the Road to Hana and her group still had to turn back because she got so sick. Getting motion sickness is pretty common along this fairly wind-y road so if you can prepare in advance, that will help immensely. We had a nice beach break at Hana Bay in Hana Town! There are lots of fun sights, food stands and restaurants along the Road to Hana, you won’t be able to do it all (especially if you’re just going for a day trip) so plan what you’d really like to see, and where you’d really like to stop, so there’s a bit of structure in your drive, but I’d also advise leaving some buffer time for pulling into a food stand or spot that just looks, sounds or feels interesting (or maybe you’re more compelled to pull in at a particular time because you’re hungry, or you have to pee lol). I wish we had stopped at more of the stands on the road but I also had a pretty specific end-restaurant in mind back in Paia, Maui, so if we wanted to make that, and then also make dinner with my parents l later that day, I knew we didn’t have time to do much except for the drive so for us, our Road to Hana was mostly because we wanted to actually take The Road to Hana, not necessarily because we had multiple stops planned along the way (I’m thinking in hindsight, it would have been more fun if we had planned more stops in advance). The water levels were not ideal for any swimming at Twin Falls when we went (April 2019)! One stop I did plan for was Twin Falls, which I thought would have been a waterfall and little pool area that we could swim and take some photos in (normally it is!) but at the time we went, the rapids were so intense and the water so brown/dirty, that it was not an option at all. Time of the year is certainly something to consider for your drive and what attractions along the way you might want to check out as well. April is not the best for waterfall levels, rapid speed and clearness. Another unplanned stop which I was super happy about was the Hana Farms stand and marketplace. This is a tropical farm and marketplace located just before you enter Hana Town. They sell a bunch of local products like hot sauces, candies, preserves, and also have award-winning banana bread (we ordered the variety pack, to try the regular, pineapple, macadamia nut and chocolate chip banana breads!) They also have a food truck/restaurant on site Wi-Fi! General Note about Wi-Fi/Service: there is none almost the entirety of the Road to Hana. But local radio works for some. reason, lol. Before you get onto the Road to Hana, you’ll also hit Paia, Maui, which is an awesome little town full of shops and restaurants. There’s lots to do in Paia so some people even plan to stay in Paia for a day before heading out to the Road to Hana. There are some Instagrammable Walls, restaurants, surfboard fences (more on that in my other Maui blog post!) and small beaches. 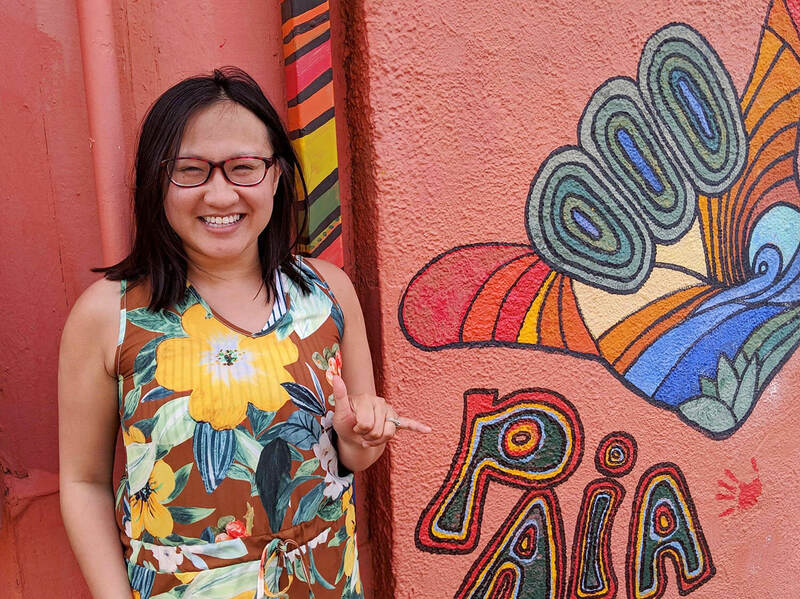 I knew I wanted to stroll the town of Paia during our whirlwind Road to Hana day so that limited the amount of time we had to explore either spot. If you want more time for both, plan for it! Paia is definitely a town you should visit either separately or during your Road to Hana. Detour slightly off the Road to Hana to visit the small town of Makawao! The ‘Ohe’o Gulch (Seven Sacred Pools) is a very popular stop for those driving the Road to Hana. When levels are safe, the pools are open for swimming! We did not go here (based on the waterfalls we were seeing along the drive, we did not think the levels would be safe to swim at Seven Sacred Pools) but this is a very popular area. The Garden of Eden is another popular stop along the Road to Hana. This garden features 26 acres of trails, ocean views and photo ops. This garden was also featured in the opening scene of Jurassic Park, which is pretty cool! There is a Maui Cave Lava Tube which is an underground experience where you’ll see stalactites and stalagmites. There are guided tours for this Lava Tube which takes about 40 minutes. A lava tube, I learned while writing this blog post, is a tunnel/cave formed naturally by flowing LAVA!!!! Neat. Nahiku Marketplace is a collection of shops and restaurants along the Road to Hana that includes the restaurant Island Chef, which I would’ve liked to have tried but due to our timing, didn’t get a chance to. 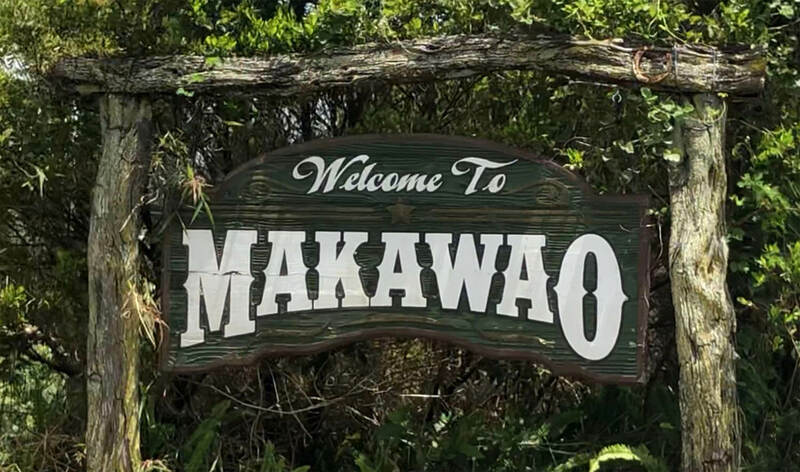 The Town of Makawao is located in upcountry Maui. It’s a charming little town with a big focus on the arts. The town is famous for their Hawaiian cowboys. There’s a primate sanctuary nearby, and there’s also a very popular bakery called the T. Komoda Store. 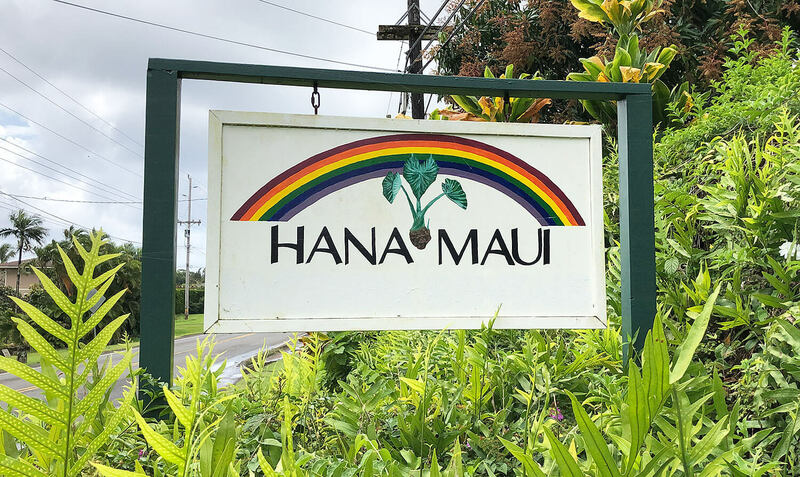 The bakery is closed on Wednesdays and Sundays so if you’re planning your Road to Hana trip and want to stop in Makawao, make sure it’s not on a Wednesday or Sunday so you can experience the bakery! Stunning views along the Road to Hana. The Road to Hana is considered to be one of the most dangerous roads in the world! As mentioned above, there are over 600 narrow turns and 50 one-lane bridges. We found that driving out of the Road to Hana, most of the drivers coming in were not very courteous and didn’t really follow the yield signs they had. There are some turns you make during the Road to Hana where you can’t see what’s coming around the corner at you, so I found I had consistent spurts of nervousness throughout the drive. Also, there may be drivers who come up fast behind you. Don’t be alarmed. These are likely local drivers, so the respectful thing to do is just pull to the side and let them pass! (There are lots of points along the road where you can pull in just a bit to either let people pass, or park to get out and take photos). Basically, just be safe. Err on the side of safety (but also, don’t be going SO slow that you’re holding up everyone else). 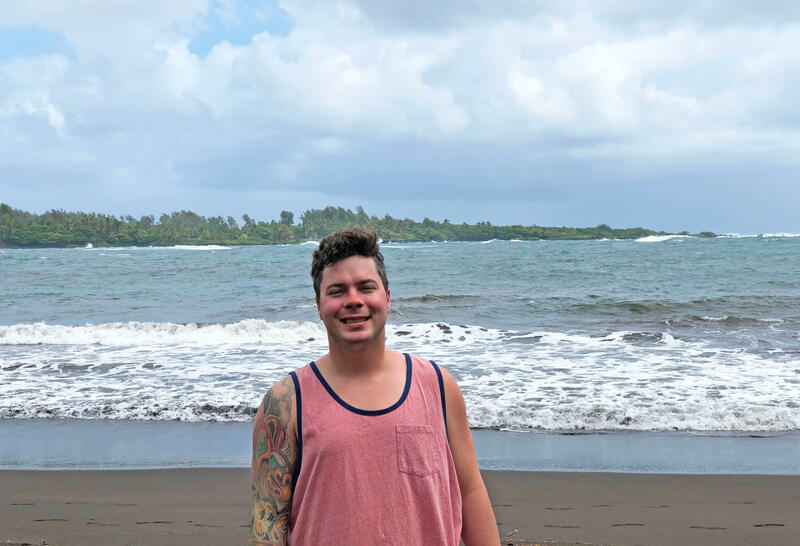 So those are some of my tips for travelling the Road to Hana, based on the one-day, whirlwind experience Mike and I had. The views along the Road to Hana were incredible, and there are so many things you can do along the way if you properly plan and set aside the time. I hope you found some of these tips and our experience useful as you plan your trip on the Road to Hana! Bring snacks! Just in case. You should try the food stands and restaurants along the way but have some back-up food just in case—the ride is long, and could be even longer depending on traffic! Bring a positive attitude! 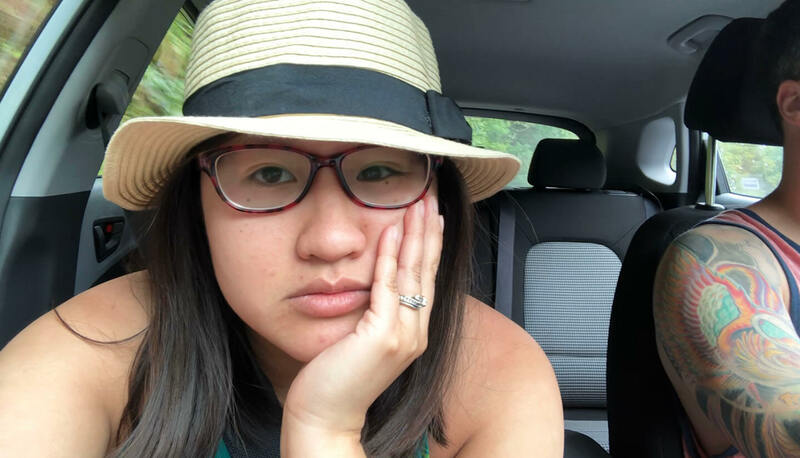 Motion sickness might lead to some grumpiness. Holding your breath every few minutes with each turn or one-lane bridge can get stressful. In fact, the Road to Hana has even been nicknamed ‘Divorce Highway’ because of arguments couples may have on the long drive! Personally, Mike and I are glad we did this drive (the views are truly stunning and it was our first time in a rainforest!) but we definitely prefer a more laid-back, lazy beach Maui (and eating all the food of course!) over the more intensive drive/long day. We might have enjoyed The Road to Hana more if we hadn’t done it as a single day there-and-back trip however, so that might be something you consider when you’re planning how long you want your day to be and how many stops you want to take in along this road (so you don’t feel too tired or too crunched for time!) There are also many Road to Hana tours you can take if you’re not feeling driving it yourself. We personally prefer being able to dictate our journey on our own time and our own term, though I can see a lot of benefits for taking a tour. Stay tuned as I blog about the other things we experienced in Maui, as well as ALL THE FOOD WE ATE! If you thought my Road to Hana video was fun, please subscribe to my YouTube Channel, stay tuned for more vlogs AND blogs, and share this post!